We all received the tornado warning last Sunday. The news reported severe storms, wind, and hail damages. As your reliable insurance agent, it is our duty to inform you about being covered for tornadoes. People often assume that tornadoes are treated separately, but weather events such as tornadoes, hurricanes, or any other occurrences causing wind driven damages, fall under peril of wind. The only time that wind or wind peril can be treated separately is for risks located near coastal exposures. Florida is a good example because it has an actual “wind pool” for anyone who is located within 1500ft of a major body of water. Those people have to purchase wind coverage through a state plan. The storm two days ago brought hails, causing a lot of damages to houses and vehicles. Under the standard property coverage forms, hail is included peril as well. Any exception may be caused by your coastal exposure, although you may see policies that treat hail damages with separate way, a higher deductible, especially people in hail prone areas. Fortunately, we do not experience hails often. For autos, the coverage for hail is usually included under the comprehensive coverage. Many people commonly identify this coverage with a cracked windshield and deer claims, but the policy is actually broader than that, providing coverage for damages by something other than a collision with other vehicle or another object. 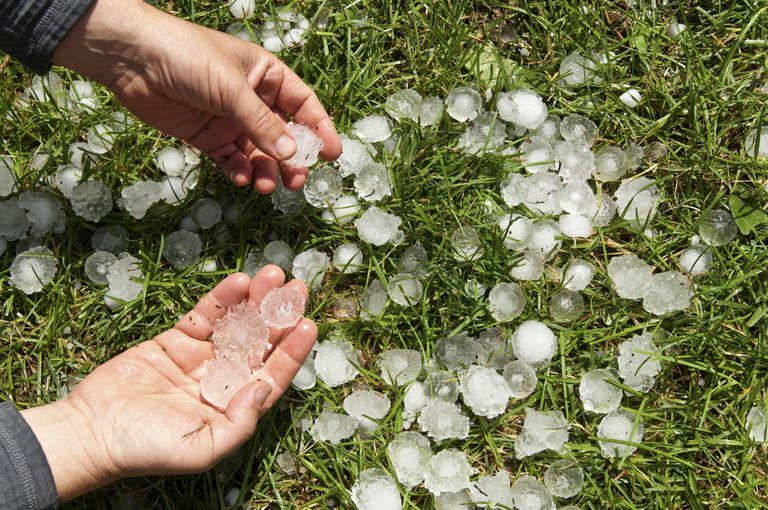 If both your house and one or more vehicles were damaged due to the hail, they do not fall under one deductible. A homeowner policy is going to have its own deductible, as well as the auto. A great example of that would be somebody backing into their home with their car. In that situation, they would have a deductible on each to deal with, even if they both are insured with the same company. Also, keep in mind that it is not uncommon to carry different deductibles on each vehicle, or one vehicle having the comprehensive coverage and the second one not having it. The recent storm has affected a lot of people in the area and caused a significant amount of damages. Insurance companies are getting reports of vehicles that are probably going to be totaled from the hail damage, as well as wind and tornado damage to homes and buildings. A high volume of claims is being received at the moment and steps are being taken cautiously to help everyone as quickly as possible. From the consumer perspective, when you file your claim, make sure to provide as much information as possible and have your contact information updated. Sometimes, claims get delayed because phone numbers are not correct. It is essential to watch for incoming calls because you might not recognize the adjuster’s phone number. It is also important not to miss an initial phone call, because it will eliminate dealing with a lot of back and forth phone tag, especially with all the local adjusters having their hands full with other claims. Lastly, if you have any questions or are not sure what to do, please contact your insurance agent to have them answer your concerns about filing claims and what is included in your policies.